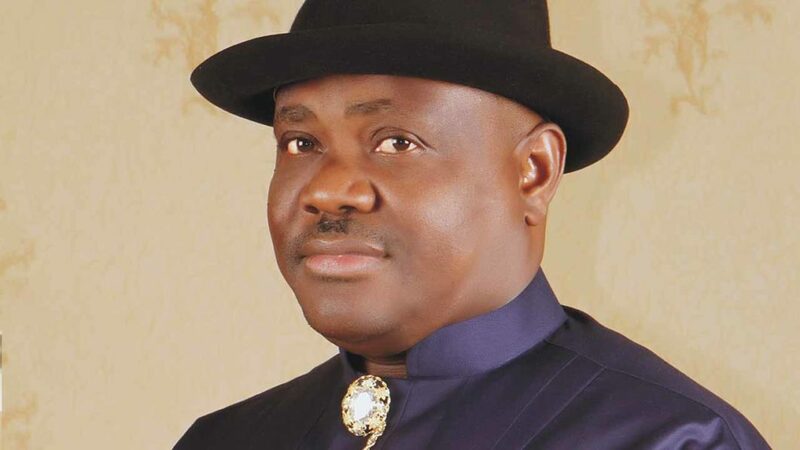 Political tension in Rivers State has heightened amid an allegation that the All Progressives Congress (APC) has armed hoodlums to disrupt Saturday’s contentious local council election. The APC had boycotted the exercise due to various pending litigations between the state and the party over the sacking of twenty-three council chairmen elected barely a week to the expiration of the tenure of immediate past administration. A Federal High Court in Port Harcourt that sacked the council executives had hinged its decision on the fact that they were elected in flagrant disobedience of a valid and subsisting order restraining Rivers State Independent Electoral Commission (RSIEC) from conducting the May 23 2015 polls. All but the APC, in the list of 68 registered political parties are fielding candidates for the elections scheduled to take place in all the 4442 units, 319 wards and 23 local government areas of the state. When the APC which had consistently maintained that it will wrest executive power from Governor Nyesom Wike in 2019 announced its withdrawal from the poll, many had anticipated that every molecule of what would have been a fierce contestation had diminished from the exercise. However, barely a few hours to the poll, Governor Wike yesterday raised concerns that the APC and its agents planned to cause mayhem and disrupt the elections in the council areas of Abua/Odual, Akuku Toru, Asari Toru, Degema, Emohua, Ikwerre, Ogba/Egbema/Ndoni, Opobo, and Tai. Wike accused the chairman of APC, Ojukaye Flag-Amachree, the former Commissioner of Agriculture, Emmanuel Chinda and the current Nigeria’s Ambassador to Netherlands, Ambassador Oji N. Ngofa of being the arrowheads of this plot. He also alleged that these APC leaders were recruiting and arming political thugs with guns to be deployed on the eve of the election to create an atmosphere of insecurity and scare voters to shun the polling stations. “In the light of the these dangerous threats from Ojukaye and co-travellers therefore, I wish to call on the security agencies, especially the Nigerian Police to live up to their primary responsibility of providing adequate security for the election and deal decisively with those who may attempt to disturb the peace, order and security of the state before, during and after the election,” said Wike. Irrespective of the perceived threat, the governor said he had received concrete assurances from the heads of all the security agencies that they have put adequate measures to secure the peace and ensure orderly conduct of the election. He said the state government will hold them personally and professionally accountable should the contrary be experienced in the state. The governor has also implored community leaders and members of the public to be on the watch out and report suspicious characters and movements in their localities and neighbourhoods to the law enforcement agencies for immediate action. “Also, the security agencies have definite instructions to strictly enforce the restrictions on human and vehicular movement on Election Day and arrest any person or group of persons that violate this order. All those who have no official business with conducting the election should therefore stay away from the polling units after casting their votes or risk arrest and prosecution,” he said. 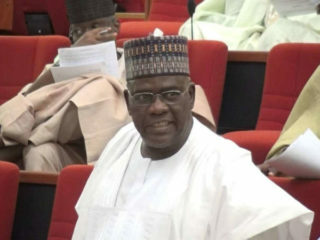 It will be recalled that it had been impossible to conduct a fresh council poll the state because of the ongoing legal challenge mounted by the sacked APC chairmen and their political party over the validity of the cancellation of the said election by a Federal High Court presided over by Justice Lambo Akanbi in July 2015. Prior to the conduct of the 2015 polls by then Chibuike Amaechi’s administration, the Peoples Democratic Party (PDP) in Suit No. FHC/PH/CS/84/2015 filed in April, prayed the court to declare the conduct of the local government election of May 23, ultra licitum and of no effect because it contravened the 1999 Constitution and the Electoral Act. The respondents in the suit were: INEC, RSIEC, Amaechi and four others. Wike explained that after three years of legal vacillation it was clear that the subject matter or fundamental interest of the claimants in that case has practically been wasted by time and whatever remedies derivable by the parties, if any, can only be nominal. “While the legal challenge continues, the people of Rivers State are denied their rights to freely elect officers to run the councils democratically. However, as things stand now, we have no other choice but to conduct the local government election and allow democracy to settle and thrive once again at the grassroots and drive the development of our communities,” he said. But Rivers APC publicity secretary, Chris finebone, has accused the governor of raising false alarm in an attempt to deviate attention from the fact that disgruntled members of his own PDP who had threatened to disrupt the electoral process in the local government area he mentioned. Finebone told The Guardian that the governor’s allegation was baseless as all the individuals he mentioned are all outside Rivers State on various national assignments. He maintained that the APC had clearly stated that it has nothing to do with the election. To this end, he accused the governor of wanting to frame up the APC in the event that disgruntled members of the PDP disrupt the polls. “Their own party members who were disgruntled over the imposition of candidates have all being threatening the process from the various local government areas. Now, the governor tried to make peace, he achieved peace in some local government areas, he did not achieve in some. 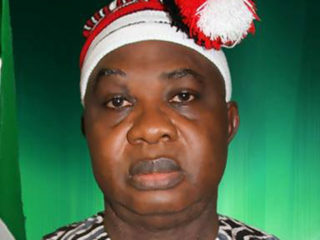 Finebone further stated that the governor had tried to broker truce within the PDP why impressing on disgruntled party members to accept those endorsed for the polls, but to no avail as some disenchanted members have stuck to their gun that it was injustice to have imposed candidates on them. “It is likely that they will show their rejection of the situation on election day by way of coming together to vote against the nominated or the imposed candidates. And this may in one way or the other result in some confusion. Otherwise, what is APC really out to gain? That is the question people should ask. What did the APC stand to gain in an election it has formally officially withdrawn from? Nothing. “It is like going to seek injunction against an activity or process that you have withdrawn from. It won’t make any sense. What do we gain by going to undermine the election? In any case, if we want to undermine the election, should we undermine it in some local government areas, it should be all over the state. In undermining it in some local government areas, what value will it add to the APC? Absolutely nothing,” he said. Just recently, the 2015 APC governorship candidate, Dr Dakuku Peterside urged RSIEC to forget about conducting the polls due to impending case at the Supreme Court concerning the fate of the sacked council chairmen. Peterside had argued that it would have been appropriate for RSIEC to put tomorrow’s council election on hold since the Supreme Court had directed Governor Wike to properly serve the 17th Respondent (Department of State Security) in the suit to determine whether elected local government under former Governor Amaechi can be joined in a suit. “The same Wike that said the High Court has nullified the elections of the chairmen and councilors elected under former Governor Amaechi is also the same person saying their tenure has expired. How can the tenure of those he claims were not in office expire? Wike is not in a position to determine the tenure or otherwise of those duly elected by Rivers people. “It is left for the court to determine and until that is done, any attempt at organizing local government election is just a sham. 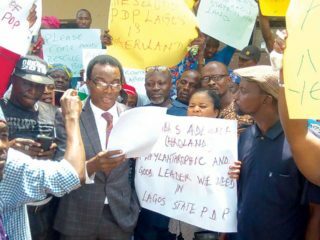 The judiciary remains the hope of those seeking for justice and as such, the governor should not be in a hurry to foist his henchmen on Rivers people all in an attempt to score cheap political points,” he said. But the state government has insisted that planned execise slated for tomorrow will hold as scheduled. The Attorney General and Commissioner of Justice, Emmanuel Aguma (SAN), explained that what is pending at the Supreme Court is whether or not the sacked council chiefs can be granted the right to appeal their dissolution. He maintained that the poll will proceed as planned because there was no legal impediment stopping it. He said the APC went to court to validate the 2015 council election but lost as the court dismissed the matter. The Attorney General pointed out that the APC never appealed the judgment of suit number PHC/47/2015 which stated that the May 25, 2015 local government election was illegal. Furthermore, he said under the new law governing local government election, nobody can stop its conduct.